She was a riveting figure — vivacious with a captivating personality, striking to look at and intellectually curious. The life of socialite Alma Mahler  fascinated those on both sides of the Atlantic. Born in Vienna — Austria's capital — Mahler was also a gifted musician. Her heart and soul lay in the world of music; she felt it deeply, studied it assiduously and played the piano beautifully. Her great passion was composing, into which she channeled her prodigious talent and wellspring of emotions. She became best known, however, not for her own artistic gifts, but as a muse for her famous husbands and their creative lives, especially Gustav Mahler , who forbade his young fiance to continue composing once they were married. Author Mary Sharratt  has written an engrossing account of Alma Mahler's life. 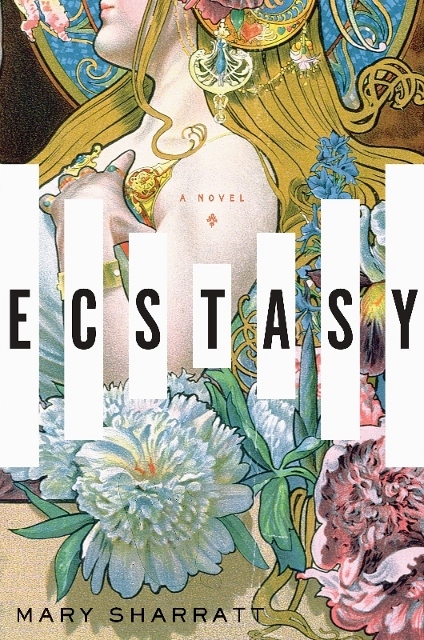 "Ecstasy" has been meticulously researched, capturing rich facets and details of this compelling story over a long arc of time. Sharratt deftly and poignantly illustrates Gustav Mahler's regimentation, self-doubts and struggles together with Alma Mahler's deep emotional life, her yearning for self-expression and desire to support her husband and his career. The friction and tension build, and the story unfolds through evocative and skilled storytelling. In Sharratt’s hands, everyday minutiae become charged with meaning, and the peaks and valleys of Gustav Mahler's huge career provide the backdrop for everything from moribund and anti-Semitic fin-du-siècle Austria  to nascent feminism in the upper echelons of New York City society. "As the rush of new ideas flooded him, he fell into the habit of neglecting to write out the instrumental parts beyond the first few bars. Over the weeks, Alma pored over the score and heard it rise inside her ... She had become so proficient at deciphering his frantic, often messy notes that she was now writing in the new parts as fast as Gustav could compose them." The novel is historical fiction at its finest, an absorbing tale sparkling with authentic nuggets on every page, whether musical, sartorial, architectural or political. And it brings an important female composer to light who has not received the attention she is due. One of Alma Mahler’s art songs, "Ekstase," gives the novel its title. In it, the singer pays homage to "The Creator as Light," joining with it and merging into it, disappearing. On more than one level, it’s an apt metaphor for the life of Alma Mahler.